GOTV subscription – If subscribing your GOTV using the Polaris bank Unstructured Supplementary Service Data (USSD) is your problem, you may have to search no further as this blog post is aimed at answering your curiosity in this regard. As a matter of convenience, everyone wants to carry out business transactions from the comfort of their couch by lifting just a finger on the cell phone. GOTV had integrated its system to avail you ease of monthly subscription when necessary without visiting the bank or any agent outlet. Select PIN, this PIN will be required of you each time you need to carry out transactions. Usually 4 digit PIN which should be known to you alone, avoid using your date of birth as PIN for security reasons. Choose your password and click ok. You have successfully activated your account. Input the amount you would like to complete your GOTV subscription with, either GOTV max or plus the prices differ according to the package. N1,900 orN2,500. Input your “4” digit PIN created while setting up/activating your USSD as described above. As simple as that, you’re done with this task. POLARIS BANK RECHARGE CODE: To recharge your mobile phone using the Polaris bank USSD code, kindly dial *833*Airtime Amount#. Example: Say you want to recharge your cell phone with N1000. Just dial *833*1000# and hit the send button, your account will be credited with the value. You are however expected to have at leastN2 in your phone. Also note that this operation must be carried out with your registered phone number with the bank. 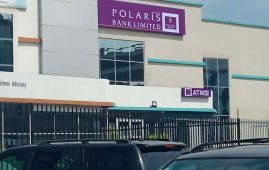 POLARIS/SKYE BANK CODE FOR ACCOUNT BALANCE:Dial *833*6#. Select option“C”, enter your four digit PIN, you will receive your account balance on your screen.